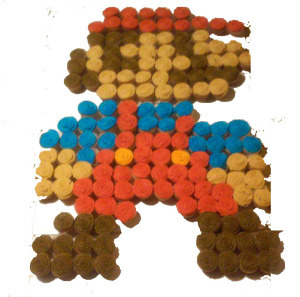 It took almost 150 mini cupcakes to make a pixelated Mario! 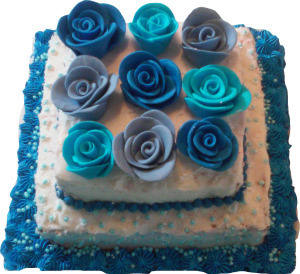 A fun cake because it was pure white on the outside but rainbow-colored inside! 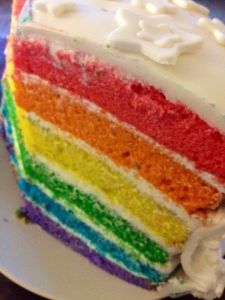 Love isn't just for puppies anymore! 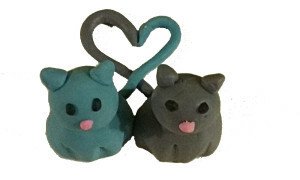 Fondant "kitty love" cake topper. 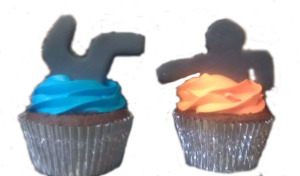 These cupcakes were made for a fan of the game "Portal." 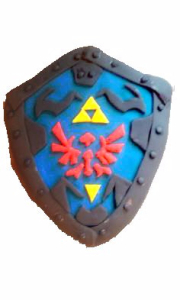 a cake modeled after the hylian shield!